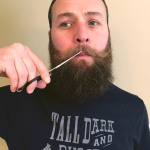 When Big Red encouraged me to write a post about trimming and grooming the mustache I enthusiastically agreed. The mustache doesn’t get quite enough attention in the beard world, but a well-groomed ‘tache really completes the look. That lip foliage of yours needs some attention, so let’s get to it. "The mustache doesn't get quite enough attention in the beard world, but a well-groomed 'tache really completes the look. " I’ll admit that I had apprehensions about trimming my own beard and ‘stache. 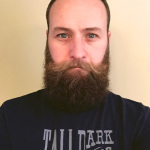 After all, there are several beard-certified barbers in my town that are capable of getting it just right but the bottom-line is that only you have the exact image in your mind of what you want, and doing it yourself gives you the ultimate control over shape and style. Once you are comfortable and confident with the process, you can groom it as often as you like. Our first mission is to make a clear decision on what style or look you are going for. This choice should coincide with your natural hair type. If you have very straight or course hair it may be difficult for you to shape it other than straight across. I have wavy facial hair, so achieving a ‘stache with some curl and length is my preferred style. Don’t try to force a style that doesn’t suit your natural growing pattern. Every job requires the right tools. First, you need a fine toothed comb to guide the hair. The Big Red No.3 is a great option for this. Next, invest in scissors that are specifically for cutting hair, they have serrated edges to capture and cut the hair. These can be purchased online or at beauty and barber supply shops. Regular household scissors will likely just fold and damage the hair without even cutting it. "Don't try to force a style that doesn't suit your natural growing pattern." Your other option for cutting is electric clippers, but I only recommend those if you are going for a perfectly even look all over your beard with a number 2 or 3 guard like George Michael circa 1987. Scissors will give you ultimate control and save you from possibly over-trimming or worse, an unsightly accident if the clippers hit another part of your manly mane. I can almost hear the clippers grinding as I fumble and drop them into my beard. Frightening. Now for the process. Use the Big Red Beard Comb No.3 to brush the hair downward. I prefer to trim when my hair is dry, which shows it’s true length. If you trim when wet, your hair may appear longer, causing you to cut too much. 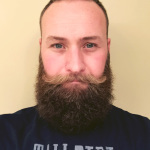 Next, start in the middle of the mustache and work out to the sides, trimming the bottom edges to your desired length. I advise only trimming the smallest amount at first to avoid cutting too much. Don’t get caught up in trying to make it perfectly even on both sides of your lip, or top to bottom. That line of thinking will lead to an over-trim for sure. I prefer a tapered cut that is shorter toward the middle of my lip and longer as it works outward. 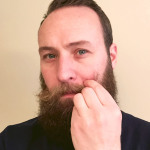 Lastly, I take my fingers and gather the curled tips of my natural handlebar and carefully trim the ends. They key is knowing when to stop and walk away. Take a break and come back to it if you aren’t sure.When you are finished trimming, rinse the hair and gently pat dry with a towel. 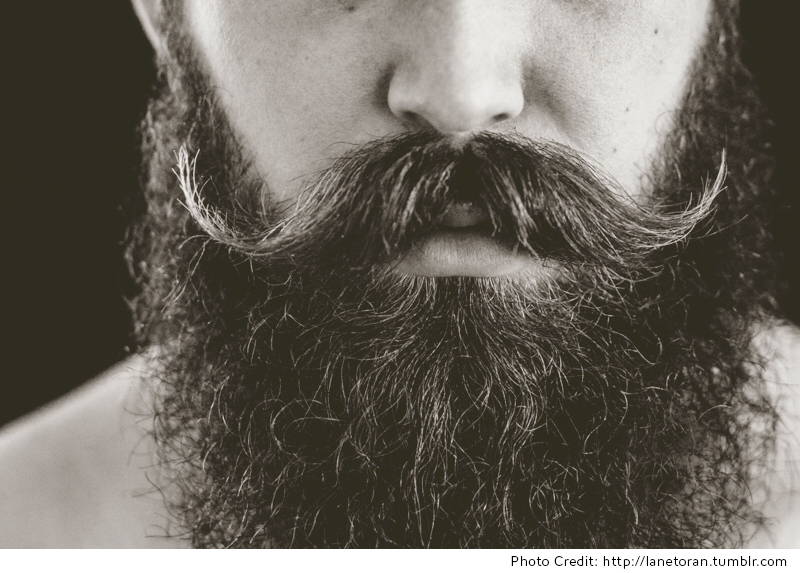 After that add Big Red Beard Balm, mustache wax, or beard oil to style it into shape. At that point, you may wish to trim a bit more, especially if you have any strays. Now go forth in the confidence that you can do this yourself, you manly son of a gun. "They key is knowing when to stop and walk away. Take a break and come back to it if you aren't sure." Have other tips or thoughts you would like to add? Feel free to add them to the comment section below. Thanks for the great question! I know just which hairs you mean. It’s really your choice. You can use a piece of paper or a notecard to slip in behind your mustache to isolate those hairs from the ones above and below. You never want to cut “into” your beard or mustache but rather just the ends. There is one photo where I am holding just the ends of my mustache in my hands. That is how I separate it out and trim the ends. Also, you can use your beard line on your cheek to determine where the mustache starts. Lastly, trimming the beard hair just below and around the mustache a bit shorter can help accentuate the mustache as well. I always try to groom my moustache but at the time when i am trimming my beard i no idea to where would be the perfect place between beard and moustache..i cut few moustache hairs in the process and the end result is that i hav to trim my moustache as well.. This time around i am again trying to grow..